TSUNAMI Radar – Weathernews Inc.
On March 11th, the Great East Japan Earthquake occurred, triggering a tsunami that devastated the northeast coast of Japan. At the time, the Japan Coast Guard patrol vessel Matsushima detected the event with its navigational radar before the wave hit the coast. 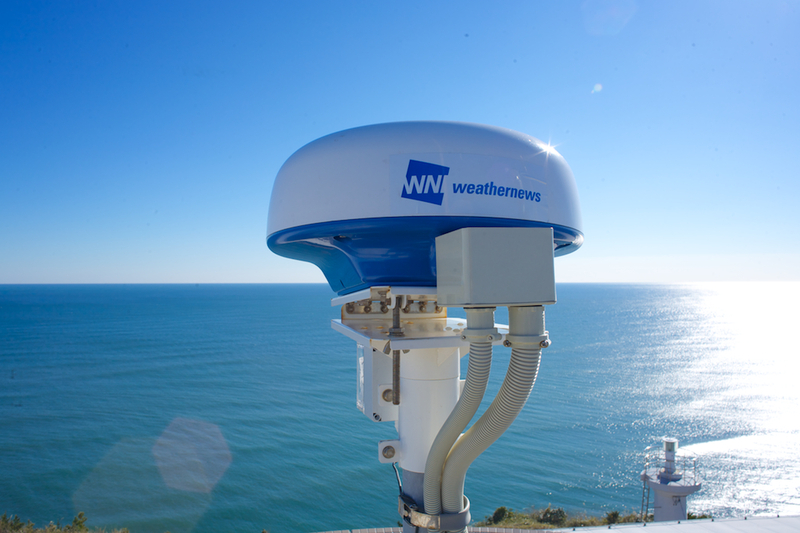 Based on this data observation, Weathernews initiated a project to develop shipboard radar for this unconventional application. 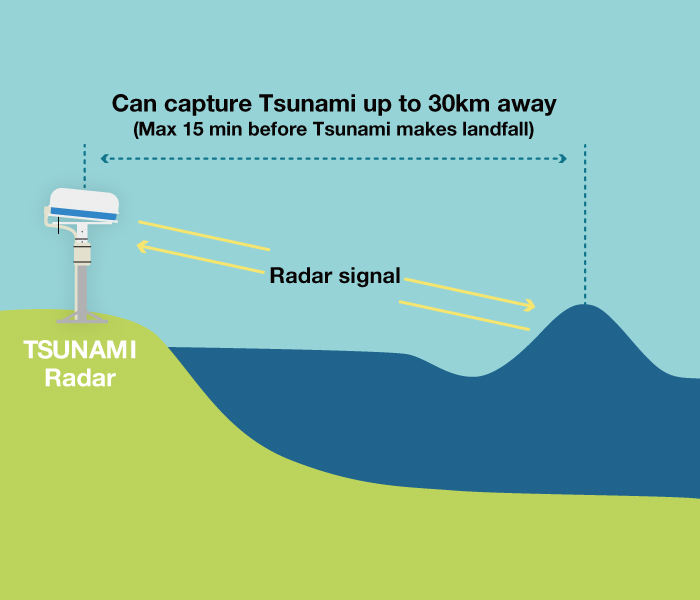 TSUNAMI Radar scans out to about thirty kilometers offshore ten-times every minute, and is capable of detecting a tsunami wave up to ten minutes before it reaches the shore. 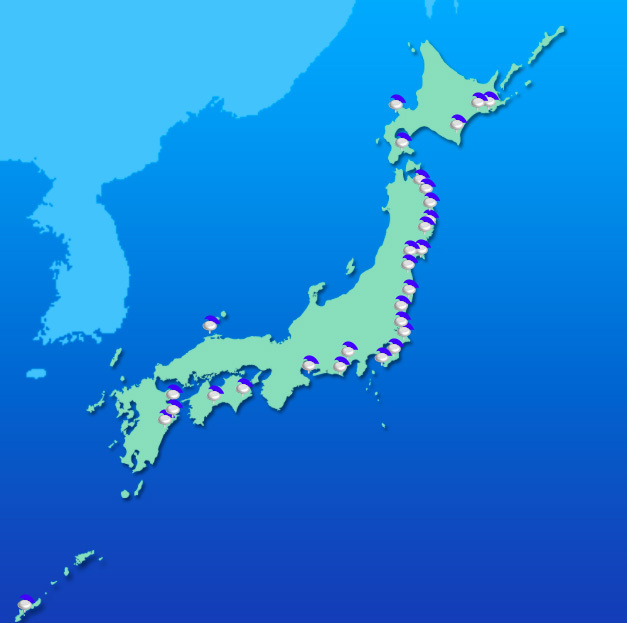 Currently this innovative infrastructure is installed at over thirty locations along the coast of Japan, but Weathernews plans to install TSUNAMI Radar anywhere in the world where at risk of tsunamis.